From merino wool and synthetic base layers to midweight hoodies to the completely redesigned late season Fanatic series, SITKA Gear whitetail ambassador Alex Templeton says that the Bozeman, Mont. based company has a full line-up of new deer hunting gear designed especially for women. Known for its scent adsorbing abilities powered by Carbon Alloy, ScentLok's Alex Jones discusses the great qualities of the company's new BE:1 clothing series for mid-season and late season whitetail hunts. ScentLok's Alex Jones and the OZ robot show off the company's OZ Gear Chamber that dispenses scent-killing ozone into ScentLok clothing, deer hunting accessories, and even boots in the special fold-out boot chambers. FeraDyne Outdoors director of engineering Ryan Chalupsky discusses the company's new fixed blade One and the new double expandable blade model known as the X.
FeraDyne Outdoors director of engineering Ryan Chalupsky introduces the new Rage Hypodermic NC expandable broadhead for vertical bows and crossbows, along with the 150-grain stainless steel Rage Trypan expandable broadhead. As crossbows continue to push the technological envelope at the ATA show, Ryan Schned of Excalibur Crossbows discusses the new Assassin Takedown model. FeraDyne Outdoors director of engineering Ryan Chalupsky says that building on the DNA of last year's highly successful Define model of bowsight, this year's offering brings several new options and advantages with the Define Pro Model. Hoyt Archery pro staff manager Evan Williams and "Bowhunter" magazine editor Curt Wells talk the new RX-3 carbon riser and Helix aluminum riser flagship bows brought to market this year by the Utah manufacturer. 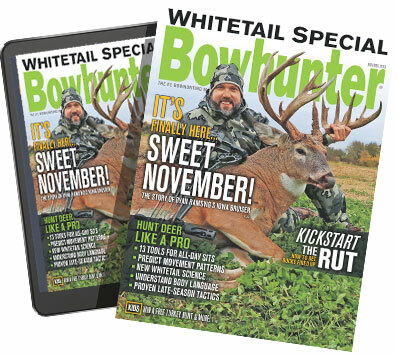 "Petersen's Bowhunting" editor Christian Berg and Mathews design engineer Mark Hayes talk the smooth, quiet and fast shooting qualities of the new flagship Vertix bow from the Wisconsin bowmaker. Can Am's Andrew Howard talks all of the updated features and new items of the Can Am Defender XT Cab side-by-side UTV package that can include features like amphibious or snow tracks, a headache rack, heat, windows, and a bed winch among others. Delta McKenzie representative Sam Miller discusses the new Strutting Turkey decoy, the Wedge bag target, and the Howling Wolf and Tapir Pro Line targets being introduced in Louisville.